Our upcoming pet pictures event is designed just for pets, of course. All pets are welcome. There are things that owners can do to ensure their own pet enjoys the event – and doesn’t create challenges for other attendees. The Pet Experts recommend reinforcing training and socializing with your pet prior to our pet pictures event. Work on their basic commands and ensure they understand sit, stay, down, leave it, etc. An awareness of your pet’s abilities and limitations is essential. When you have what your pet needs, when they need it, you’re both better off. Going out in public is an experience that requires their leash, harness, or collar. Even pets that are accustomed to being off-leash should be tethered to you during public events. We recommend that your pet arrives at our pet pictures event thoroughly exercised. Let them run around beforehand or go for a nice long walk together. Also, if you plan on coming in shortly after one of their daily meals, they’ll likely be more relaxed and open to the new surroundings. Bring along your pet’s favorite treats. If they need help staying still during the pet pictures, or simply require a distraction from another pet, treats can really save the day. Likewise, reward your pet with a snack when they are behaving well. This positively reinforces their actions. It’s always a good idea to have your pet’s collapsible water bowl and fresh water. Sometimes, in an unfamiliar environment pets can feel stressed or anxious. Offering them a drink of water can help them cope with all the stimulation. You pet may need to occupy themselves with a chew toy or favorite stuffy. Not only a great distraction at a bustling event, but these can be soothing, as well. If you notice that your pet simply cannot abide by all that’s happening at a pet pictures event, give them a break from it. Take a walk, play a game, or hang out in the car for a bit. You can try to bring them back in, or just aim for another event altogether. The pictures of your pet can be great additions to your home or memory book. If we can assist you further preparing for public pet events, the Pet Experts at Elmhurst Animal Care Center are always here for you! 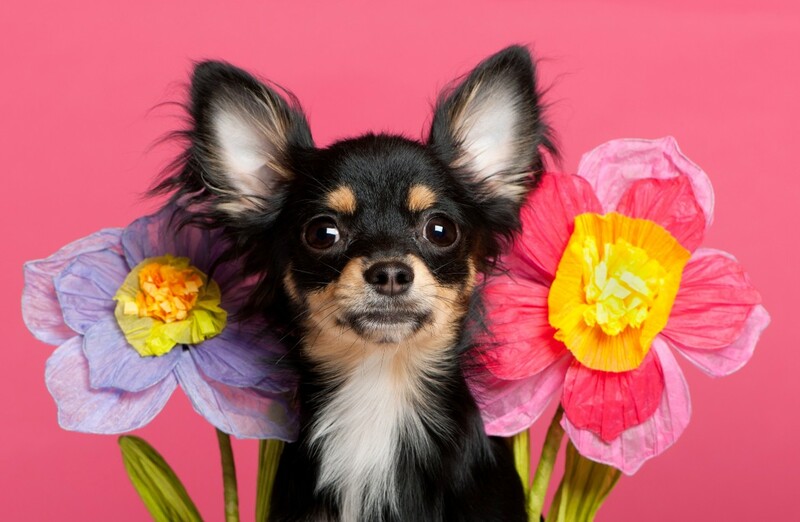 Join us at our Spring Adoption Event! Bring your pet along for $5 photos with the Easter Bunny, all proceeds will benefit our rescue partner. Saturday, April 6th from 10AM – 2PM at Elmhurst Animal Care Center – 850 S. Riverside Dr., Elmhurst, IL.